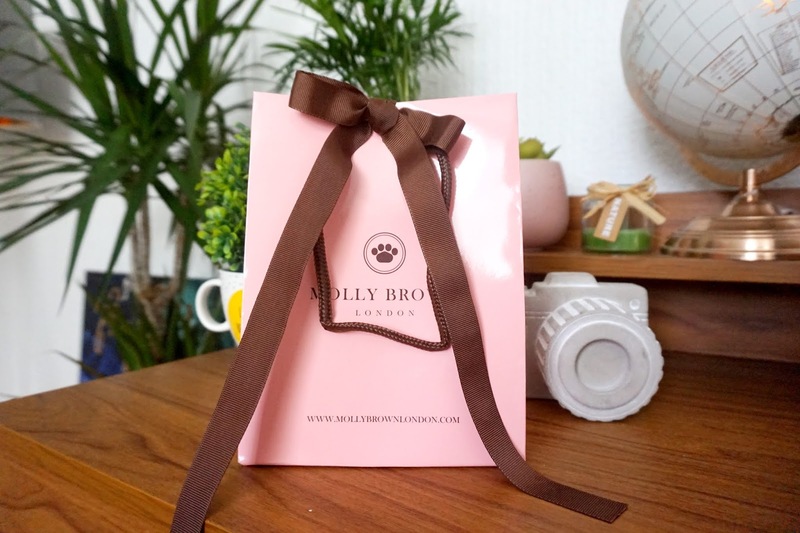 I was recently contacted by Molly Brown London, asking if I'd be interested to receive one of their pieces of beautiful jewellery to review. I instantly said yes, and instantly knew I wanted to gift my choice to my eldest daughter, Mia. I love all three of my children equally, but Mia will always have this special place in my heart (my other children do for other reasons too) as she was the baby who made me a Mum, not only that but she went through the toughest times with me. She was my absolute rock when I felt like my world was crashing down and she was there. She is the one who got me through the tough times. It only felt right that I passed this beautiful jewellery to her. 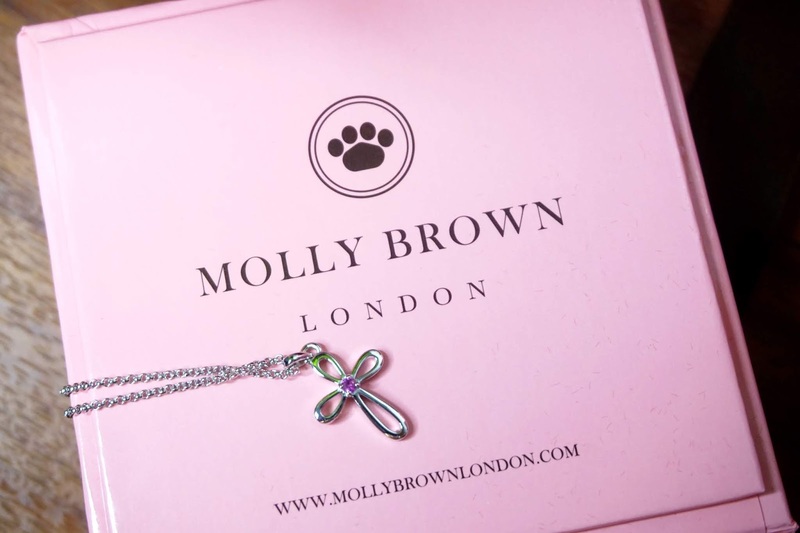 Molly Brown London have some beautiful pieces of jewellery for children and babies. From necklaces, bangles, bracelets, earrings, lockets and more, they're the perfect gift for any special occasion. I chose the Pink Sapphire Cross Necklace for Mia, and I adore the pink sapphire in the centre of the cross. Molly Brown London have a large range of unique, beautiful jewellery for babies and children. You can make them extra meaningful and unique by adding personalisation, where they will engrave names or initials into their sterling silver jewellery that will make the gift extra special. If you're not looking for engraving, but still wanting the jewellery to be personal, they also have a fair range of jewellery with birthstones. They package their products with care and so beautifully. In a dark-ish pink and brown packaging, it looks elegant and beautiful. 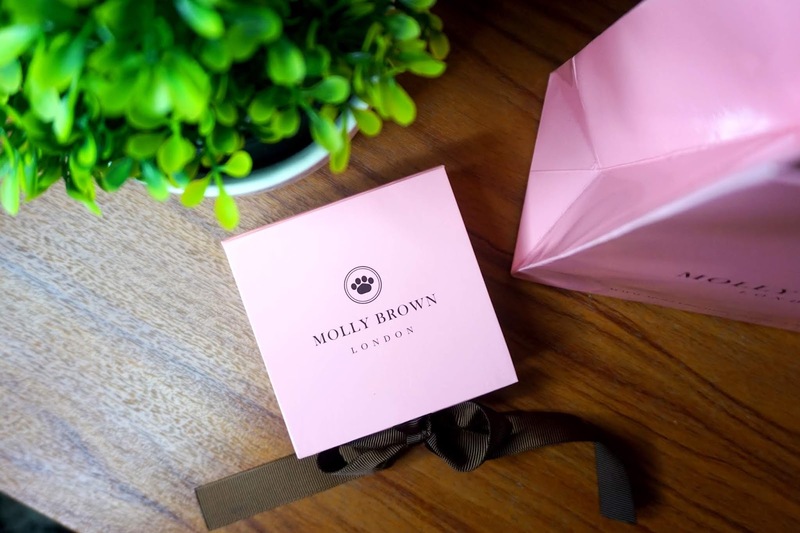 The jewellery is packed in a little pink netted bag inside the Molly Brown box, for the extra touch. Their jewellery is so beautiful and are great gifts for all occasions. Gifts that are unique, sentimental and meaningful. * We were kindly gifted this item for the purpose of this review. However, all words, images and opinions are entierly our own.